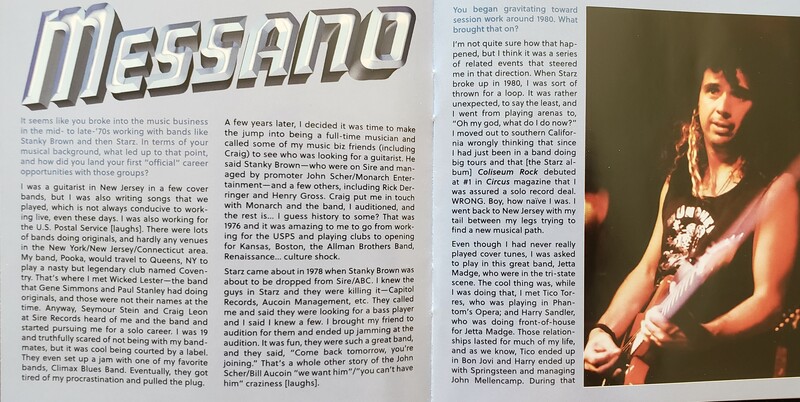 The decades-long career of respected guitarist Bobby Messano picked up steam in the mid- to late-’70s with acts such as Stanky Brown and Starz. 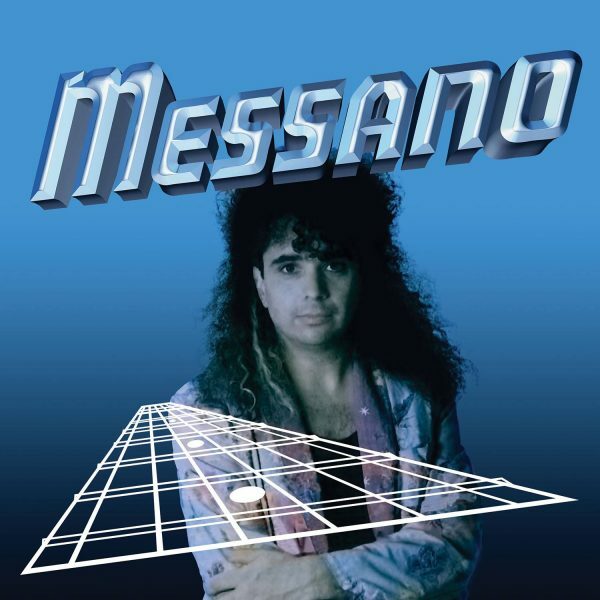 Gravitating toward session work around 1980, MESSANO would contribute to albums from a range of different artists—Peter Criss and Joe Lynn Turner among them—as well as touring alongside heavyweights like Steve Winwood, Lou Gramm, and more. For a portion of that era, Bobby had also joined rockers Franke & The Knockouts, performing (and co-writing two tracks) on their 1984 album, Makin’ the Point.Toward the end of the ’80s, MESSANO also stepped up to present his debut solo album, having assembled a backing band consisting of Erik Boyd (bass), Joey Zee (keyboards), and Mike Gage (drums). Recorded with Jim Barg at The Barge Sound Studio in Wayne, NJ, Bobby handled lead vocals, guitar, bass, and the bulk of the songwriting. That being said, two cuts nodded to his past: “Hide Our Love Away (Tell Me Why)” was first recorded by Franke & The Knockouts under the title “Carrie Why?,” and “Sing It, Shout It” was a Starz cover from 1977.Released by Strategic—a division of Relativity Records—in 1989, the 11-song album has become a bit of a cult classic over the years for fans of top-shelf, hook-fueled melodic hard rock. MESSANO wouldn’t release another solo album until 1998—the blues-based Dominion Roads—but has remained an active and highly regarded force in the blues community since that time.30 years later, Divebomb Records is excited to reissue this underrated AOR treasure. 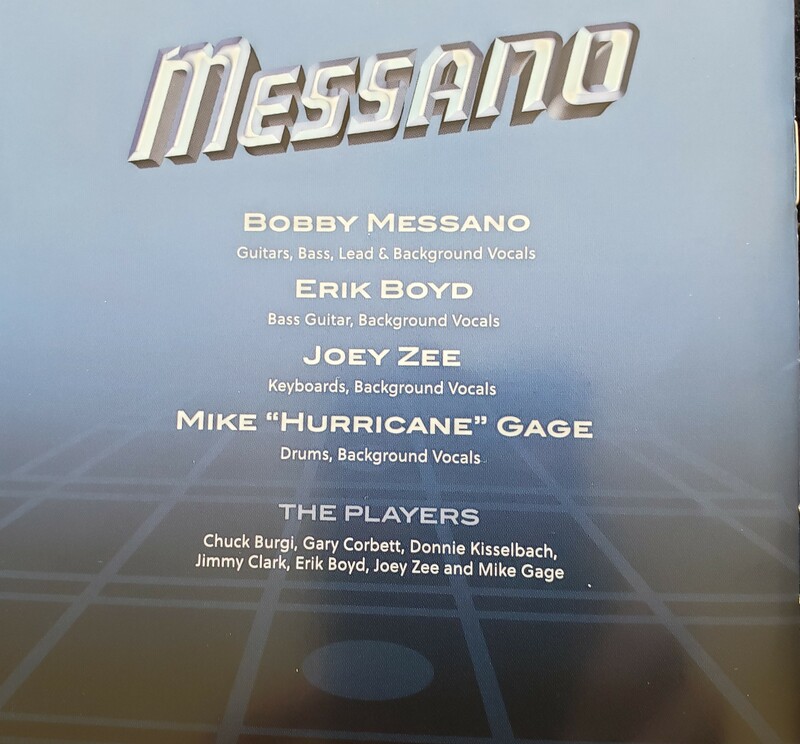 Newly remastered with a whopping five bonus tracks, the disc will be presented with a typically detailed booklet featuring a retrospective interview with Bobby Messano himself. For the fans, by the fans! WOW!!! what a flash from the past. This is Album is AOR heaven!!!! It takes me back to my youth and puts a smile on my face. Bobby’s come a long way from this album but it’s nice to revisit the past. Thank for the many years of great music Bobby and memories. Take care my friend!